A good number of drugs used in different indications in wide variety of clinical fields may influence the thyroid function tests (TFT), the use of which has seen a substantial increase in various clinical fields. Therefore, it is important to consider the possible effect of these drugs both on the results of TFT. Although two classical examples, i.e., amidarone and lithium are discussed in details, some special drugs classes like cytokines, tyrosine kinase inhibitors, and highly active antiretroviral therapy are also highlighted. Maternal hypothyroidism can affect the fetus in the antenatal period or later in life, but the role of maternal thyroid antibodies in hypothyroidism in the offspring is not well understood. Since thyroid autoantibodies can damage the thyroid gland, those with antibodies have a greater chance of developing thyroid dysfunction in future. 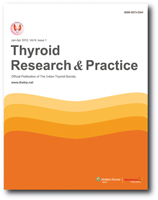 The aim of the present prospective study was to estimate the occurrence of transplacental transfer of maternal antithyroid antibodies to the offspring and to study its immediate consequence to the offspring's thyroid function. TSH and antithyroid antibodies estimations of 20 offsprings of the hypothyroid and antithyroid-antibody-positive mothers were done. A high prevalence of either or both antithyroid antibodies (75%) was found in the offsprings of the antibody positive hypothyroid mothers though neonatal hypothyroidism was rare (5%). Only periodic follow-up of these children would reveal the importance of these antibodies in the neonatal period. Studies have shown that autoimmune thyroiditis is diagnosed increasingly in recent times, probably due to facilities available for estimating the thyroid autoantibodies. This is a pilot study to estimate the prevalence of thyroid autoantibodies in young females, without any known thyroid disease or on thyroid medications. A total of 125 women in the age group 15 to 35 years were selected at random. Besides history taking and physical examination, estimation of TSH and antibodies against thyroid peroxidase and thyroglobulin were done in all the subjects. 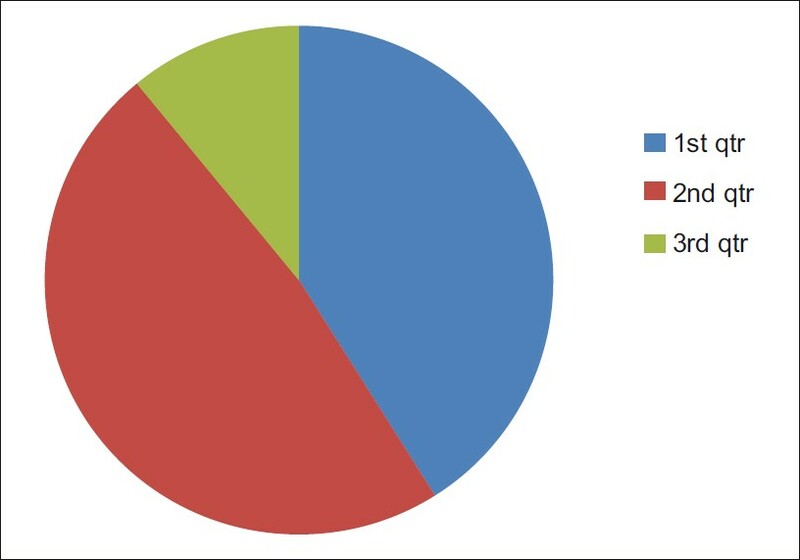 In 112 subjects (89.6%), thyroid autoantibody positivity was seen-in 52% both antibodies, in 33.6% antithyroid peroxidase alone, and in 4% antithyroglobulin alone were positive. A statistically significant association was found between thyroid autoantibodies and thyromegaly. All subjects with family history of thyroid disorders in their first degree relatives (18) had antibody positivity. Objectives: This paper describes the prevalence of hypothyroidism, in young children and adolescents, aged less than 18 years, with type 1 diabetes mellitus, in northern India. Materials and Methods: Seventy patients (23 female, 47 male) were screened for hypothyroidism, using serum TSH, as part of a detailed assessment of the clinical profile of children and adolescents with type 1 diabetes in an endocrine centre located in Haryana, northern India. Results: Seven girls were found to have hypothyroidism of varying degree, and two boys had subclinical hypothyroidism. Conclusion: Thus, hypothyroidism is found to be a frequent association with type 1 diabetes mellitus in northern India. Introduction: Thyroid disorders are among the common endocrine disorders in pregnant women. It is now well established that not only overt but subclinical thyroid dysfunction can also have adverse effects on fetal and maternal outcome. Maternal hypothyroidism during pregnancy raises serious concern about long-lasting psycho-neurologic consequences for the progeny, due to the risk of insuf-ficient placental transfer of maternal thyroid hormones to the developing fetus during the first half of gestation. To validate the need of antenatal screening for maternal thyroid dysfunction this study was undertaken to know the prevalence of thyroid dysfunction among pregnant women in Central India. Materials and Methods: In this ongoing study so far 73 patients in the first trimester of pregnancy have been recruited from Matru Seva Sangh Hospital. Detailed history and examination were done. Serum thyroid-stimulating hormone (TSH) estimation was done by the immunoradiometric assay method. Results: Out of 73 patients, 30 (41%) had TSH less than 2 mIU/ml, 35 out of 73 (47.95%) had TSH between 2 mIU/ml and 4 mIU/ml. The TSH value of more than or equal to 4 mIU/ml was seen in 8/73 (10.96%). Two patients also had gestational diabetes. TSH levels were more than 2 in both. Conclusions: Prevalence of hypothyroidism is more than 10%. 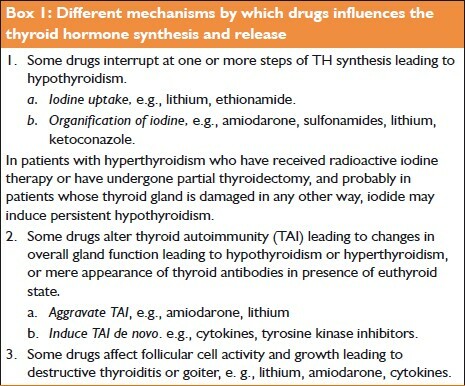 As per recommendations all patients with TSH levels more than 2 should be evaluated for free T4 and thyroid antibody estimation. Screening for thyroid dysfunction should be done early in pregnancy. Looking at the high percentage of abnormal TSH in pregnancies, universal screening should be considered. 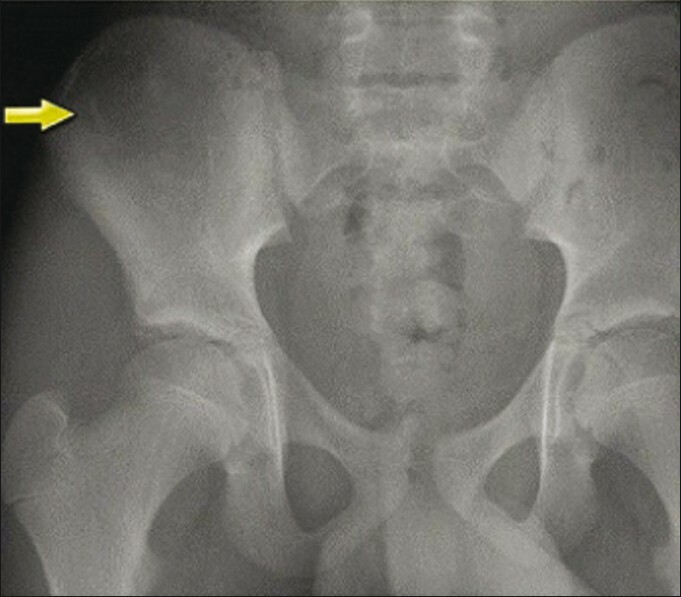 A 47-year-old woman presented with pain in the right hip region. Radiograph revealed solitary osteolytic lesion in the right iliac bone. Fine Needle Aspiration Cytology (FNAC) diagnosed it as a metastasis of follicular thyroid carcinoma (FTC). Thyroid gland was clinically without any apparent disease. This case is presented to highlight unusual clinical presentation of FTC which is confused with primary bone tumor. Early diagnosis by FNAC is essential for better prognosis.